ECO BATH All-In-One Hair & Body Wash is an innovative premium product to provide your guests, customers and family members with a convenient, high quality hair and body bathing experience. It is excellent for use with Refillable Liquid Soap Dispensers. ENVIRONMENTALLY FRIENDLY GREEN LABEL COMPLIANT. ECO BATH makes it possible to have just one highly functional product to cover all hair and body cleansing needs. The product’s versatility cuts down the number of shampoos and soaps required for purchasing and stocking savings costs. The neutral pH and biodegradable ingredients place no strain on effluent systems. ECOBATH IS EXCELLENT AS A SHOWER CRÈME. ECOBATH contains special deodorants and moisturisers and produces rich creamy lather that cleans and refreshes the entire body. ECOBATH also rinses off easily, without leaving a greasy feeling. ECOBATH USED AS HAIR CONDITIONING SHAMPOO. Extra mild and with a built-in conditioner, ECOBATH cleans and conditions the hair, leaving hair softer, shinier and manageable. 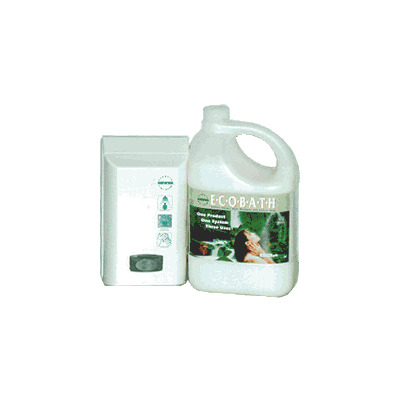 ECOBATH IS A GENTLE SKIN CLEANSER FOR FACE AND SENSITIVE SKIN. 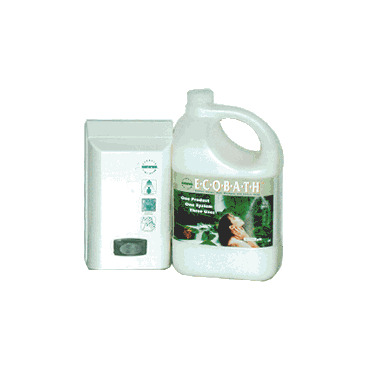 ECOBATH has a generous combination of moisturizing and protective emollients. Thus frequent washing for hygiene purposes is possible without drying the skin.